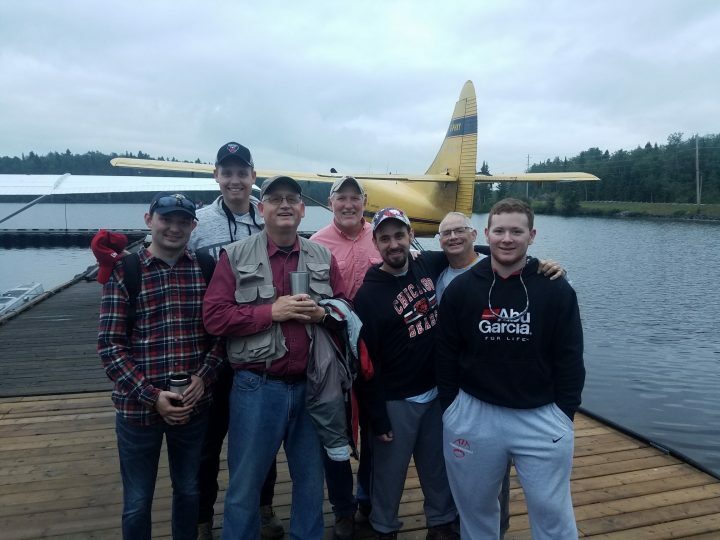 The Clark/Herrington boys have been fishing with us for many years and look forward to their fishing trip more than Christmas. Fishing the same lake for this many years, they started out pretty green and have seen their size and quantity of fish increase immensely since they fell in love with the North. 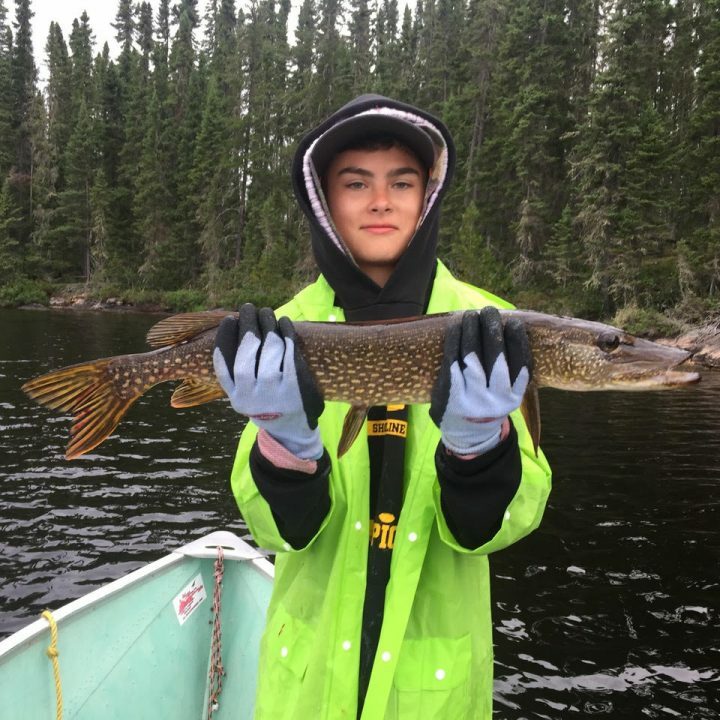 Here is their fishing report for 2018 Cobham Daniel. Our 20th anniversary of staying with Amik did not disappoint! 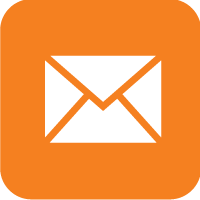 In fact, our group set a number of new records. 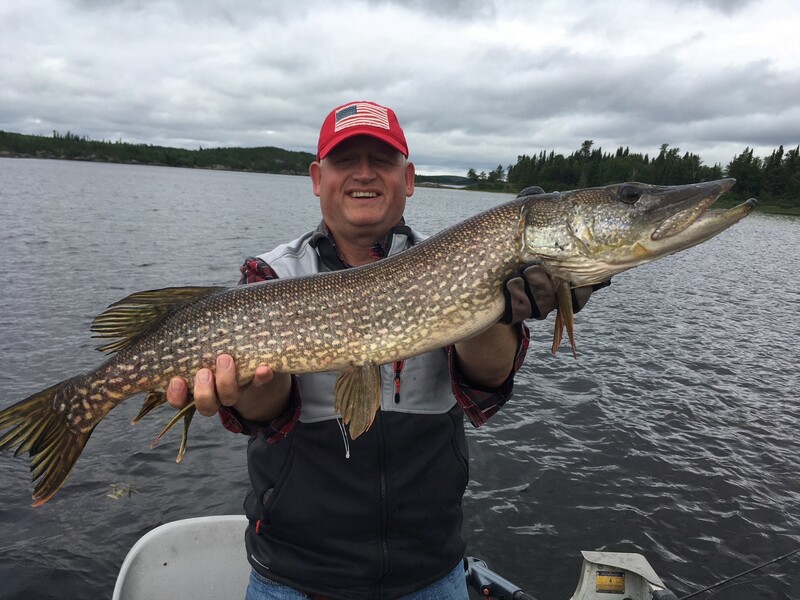 We caught 4 pike over 40 inches, including a couple of 43 and 42 inch monsters. We have 2 new members of our famed “40 Inch Club”: Scott T. from St. Louis and Dan R. from Minneapolis. 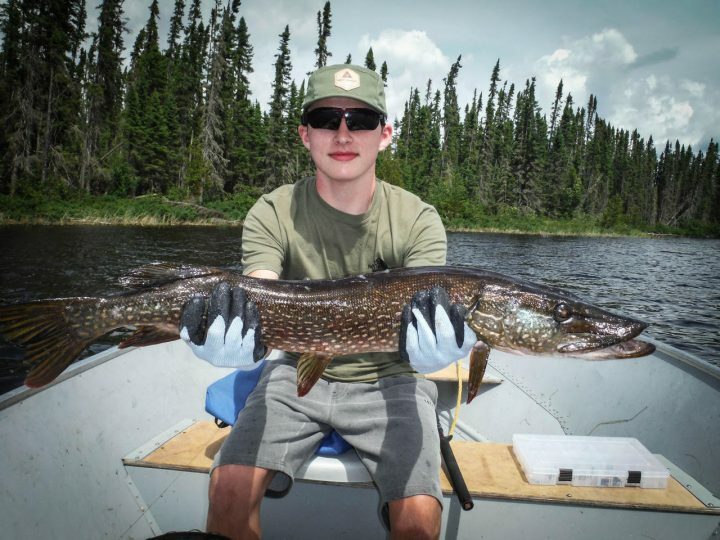 The number of pike over 35 inches was simply amazing. Some of the photos are attached. 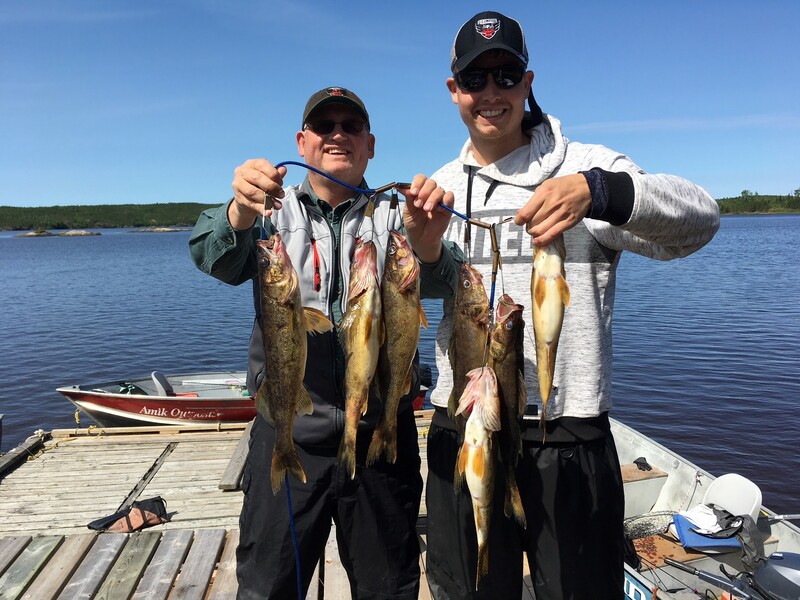 The walleye fishing also set new records for our group. 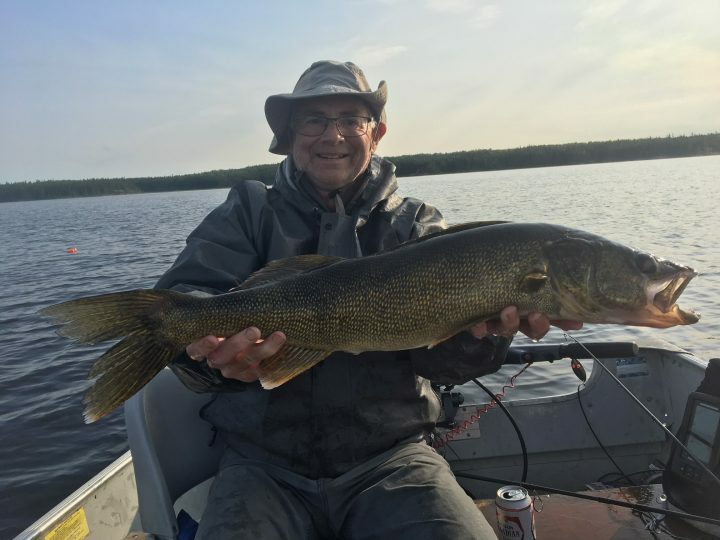 The big walleye was 27 inches closely followed by a number of walleye 25 inches and over. 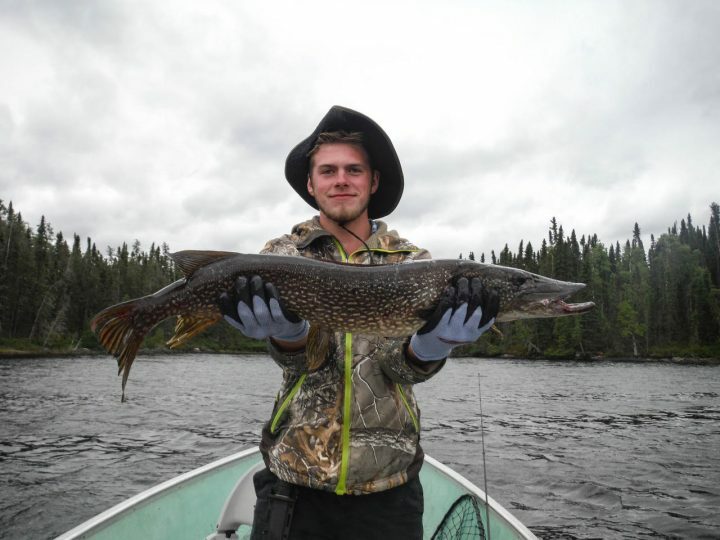 In only his second year Dan R. took home both the big walleye plaque and the big pike plaque. 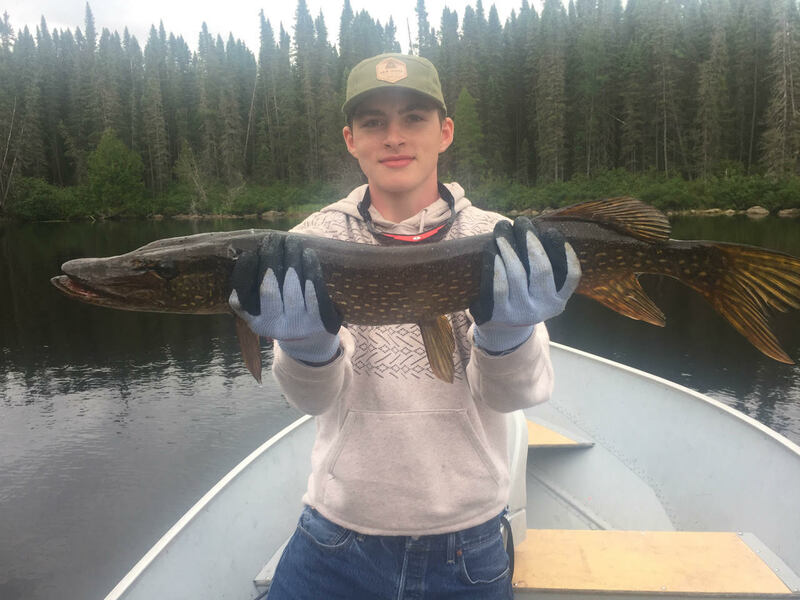 My son James once again reclaimed the Undisputed Angler of the Year belt with a consistent 6 day performance of catching the most walleye over 20”, the most pike over 27”, catching the most “monster” fish and winning nearly every daily fishing contest. 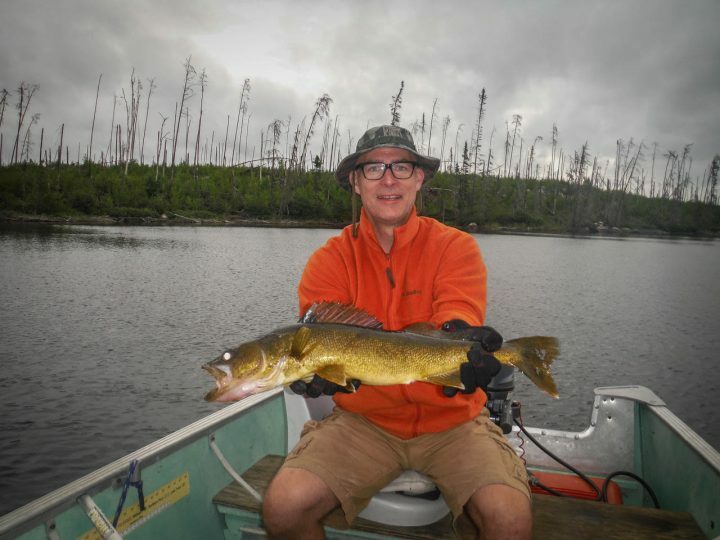 It was another great fishing trip and everyone is already looking forward to getting back next year. Thanks again to you and John for providing such a great experience. We had a number of other firsts this year. Perhaps the most unusual was fighting a forest fire down toward the trapper cabin north of the Daniels Cabin. Not long after a number of lightning strikes we noticed fire on the shore that was rapidly expanding. We used the bottom of our leech tote to put out the various fires which started at a tree struck by lightning. We had to kick fallen trees and burning branches into the lake and eventually Dan R. joined in with his boat cooler. After a lot smoke and steam we got everything out! 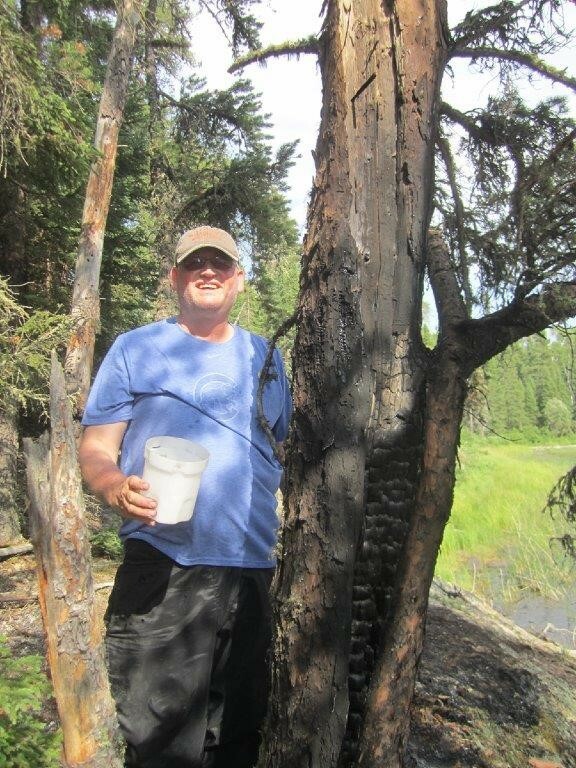 See the picture with me standing next to the burned tree. 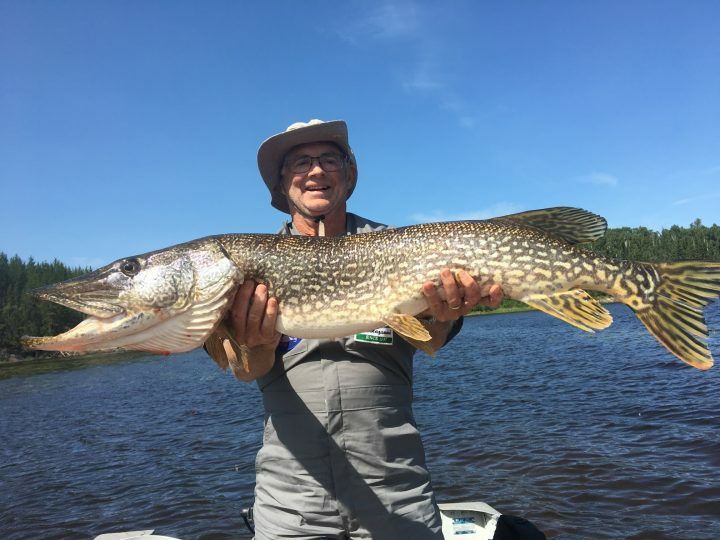 We also had one pike who tried to steal one of the walleye on our stringer tied to the boat while we were casting in a back bay. The 35” plus monster just didn’t want to let go and I had wrestle the stringer away from him. But then he refused to hit any of our spoons! 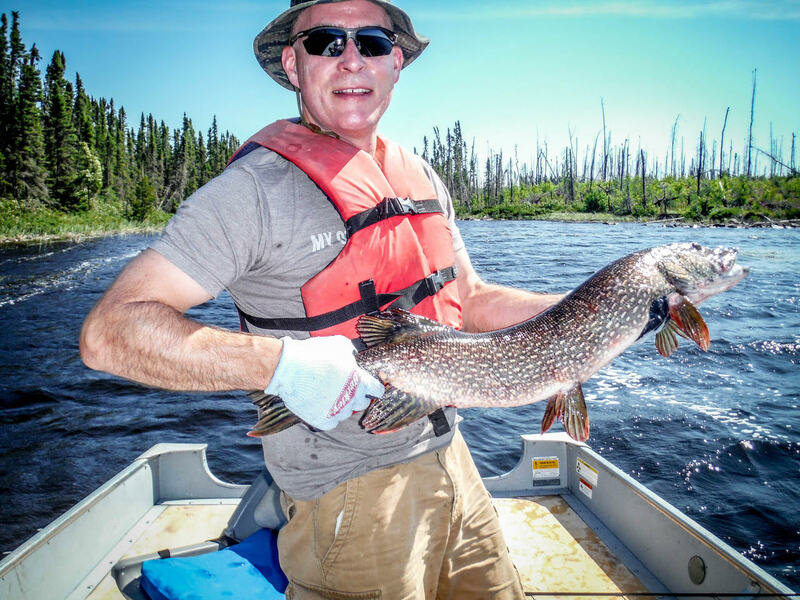 We also caught one pike that had both the lure in his mouth, but also another 18” pike. 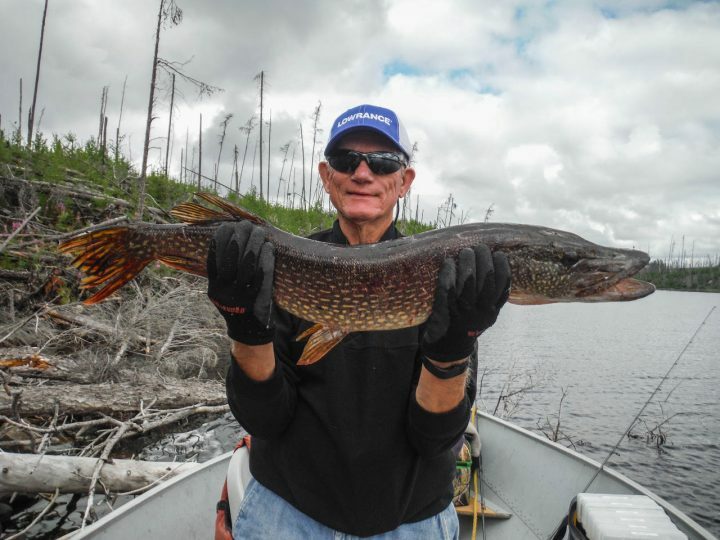 Apparently he attacked both the lure and the smaller pike at the same time! 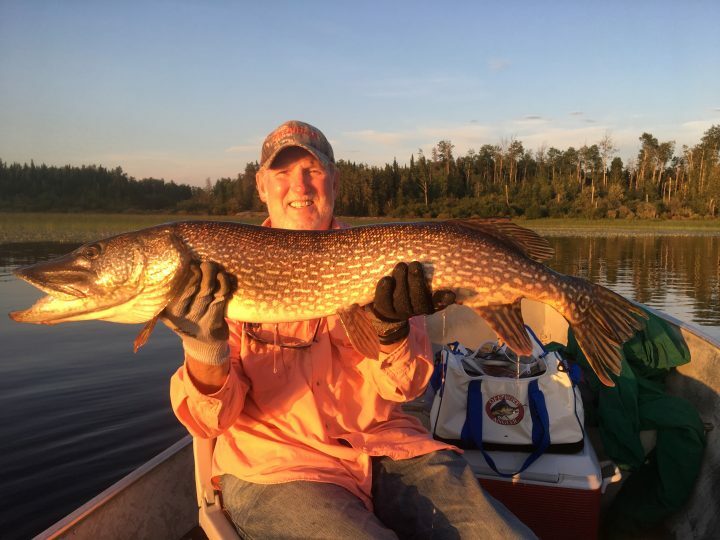 The Maranville Party fished Jeanette Lake and had a blast with their family. 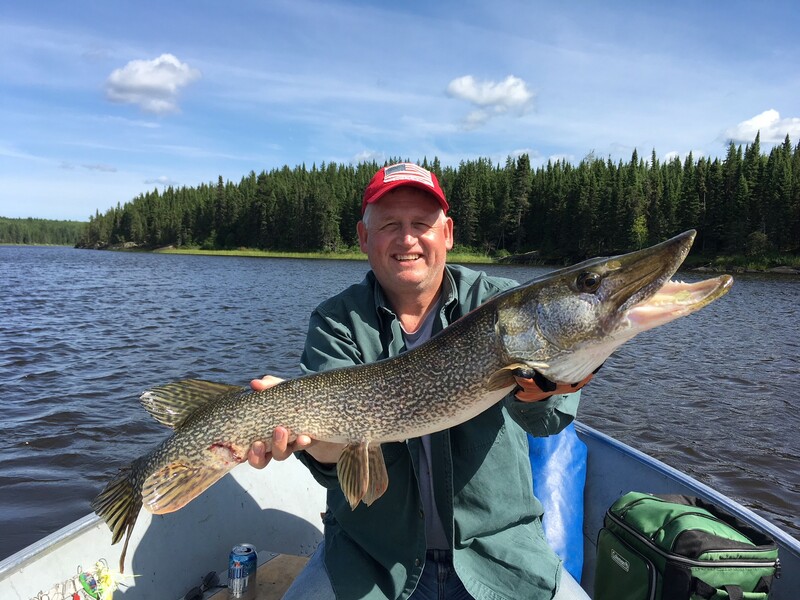 Fishing was awesome and they caught some big ones! 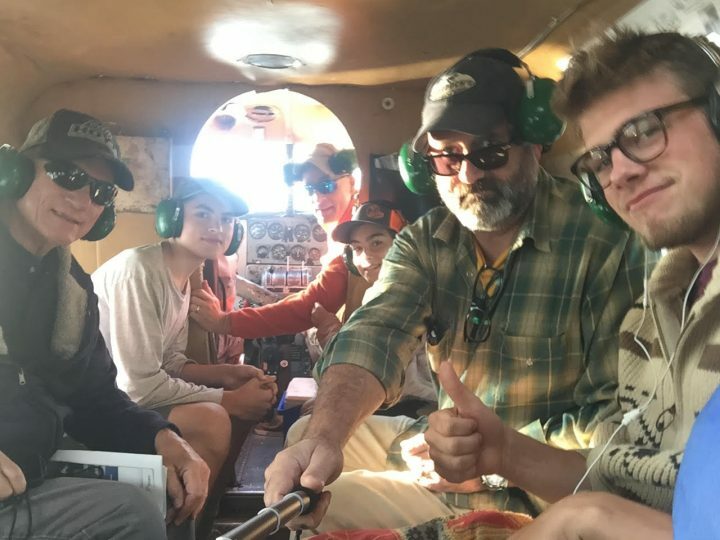 Here are some pictures from their fishing vacation with us.